The YCLSA calls on Manana to resign as an MP and urgently seek help. The Young Communist League of South Africa (YCLSA) on Tuesday accused beleaguered African National Congress (ANC) MP Mduduzi Manana of intimidating his domestic worker into withdrawing an assault case against him and urged the ANC national executive committee to take action against him. ”The YCLSA calls for the law to take its course despite the intimidating withdrawal of the case. No money or out of court settlements must come in between the law and the unrepentant women abuser by the name of Mduduzi Manana,” the organisation said in a statement. Manana on Tuesday rubbished assault allegations by his domestic worker, accusing her of extorting R100,000 from him in order to withdraw the assault case laid with Douglasdale police. He said the fresh assault allegations were a smear campaign following his conviction in the Randburg Magistrate’s Court for assaulting three women at a Johannesburg nightclub last year. He was consequently fired as deputy minister of higher education. His domestic worker, Christine Wiro, who has been in his employ for three weeks, laid charges against him for allegedly assaulting her at his Fourways home over the weekend. She alleged that Manana tried to push her down the stairs for allowing a guest into his home without checking with him first. She told police that Manana had previously verbally abused her, made her work long hours and threatened to have her deported back to her home country, Zimbabwe. Wiro reportedly withdrew the charges on Monday after Manana offered to pay her R100,000 to drop the case, according to a report in The Times. 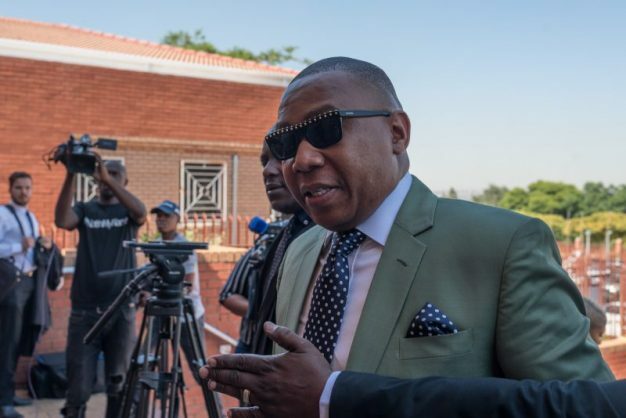 Manana was reportedly accompanied by his sister, who confirmed the payment to The Times reporter. Manana denied assaulting her and said a complaint of a R100,000 extortion against Wiro and her family would be laid with the police. ALSO READ: How stupid does Mduduzi Manana think we are?